Carlisle United have signed Jack Stacey on a month's loan from Reading. The 19-year-old winger made two appearances for Barnet during a loan spell earlier this season and Reading are keen for him to pick up more first-team experience. "We've been aware of Jack for quite a while now," Carlisle manager Keith Curle told the club's website. "He has plenty we can work with. He likes to support the strikers and he's comfortable on the ball." 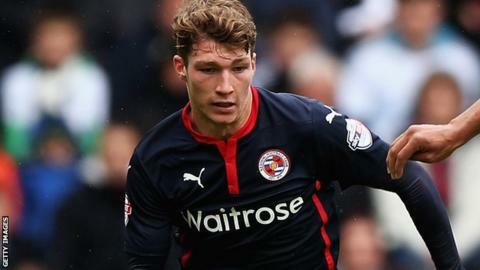 Stacey made his Reading debut in August 2014 and has made six first-team appearances for the Championship club. He signed a new deal at the Madejski Stadium in December and is under contract until 2019.